KRS founding partner Maria Rollins has been named managing partner in recognition of significant accomplishments that have contributed to the firm’s expansion. Rollins has demonstrated strong leadership skills and has brought insights and innovation to the firm. 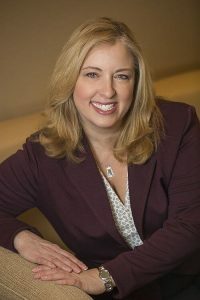 She spearheads the successful business development team, Business Insights Breakfasts and marketing efforts, and leads practice management and staff selection and development. Under Maria’s leadership, KRS has developed deep relationships with other local businesses and professional firms as well as within the community, all of which have furthered the firm’s growth. “Maria has been leading KRS behind the scenes for many years. In recognition of her efforts, the KRS partners unanimously named her the firm’s first managing partner, giving her the formal recognition and authority that she has earned through her efforts and results,” says KRS partner Jerry Shanker, who heads the firm’s business valuation and litigation support practice and is co-chair of the firm’s tax department. Adds partner Simon Filip, “I am excited that Maria has accepted this leadership role and I look forward to her piloting our company’s growth in this ever-changing business climate.” Filip leads the KRS commercial real estate practice and plays a key role in its private client advisory group. “I am honored to be named managing partner of KRS CPAs and I look forward to guiding our firm to sustained growth,” says Rollins, who was recently recognized as one of the Top 25 Women Entrepreneurs by Leading Women Entrepreneurs. In her role as managing partner, Maria will continue to guide the growth and governance of the firm and run the KRS tax practice and business process outsourcing department. Read Maria’s bio on the KRS website.